My family absolutely loves Mexican food, and we have it at least once a week. Not long ago, we went out for dinner at one of our favorite Mexican restaurants, where they served a side of refried beans along with the meal. My son had a taste, and he could not stop raving about how good they were. When I make beans at home they just don’t have the same taste or texture as you can get in a restaurant. (Of course, I just usually heat up a can of refried beans instead of making my own, which probably makes a difference!) But with our busy schedules, I try to take shortcuts whenever possible. 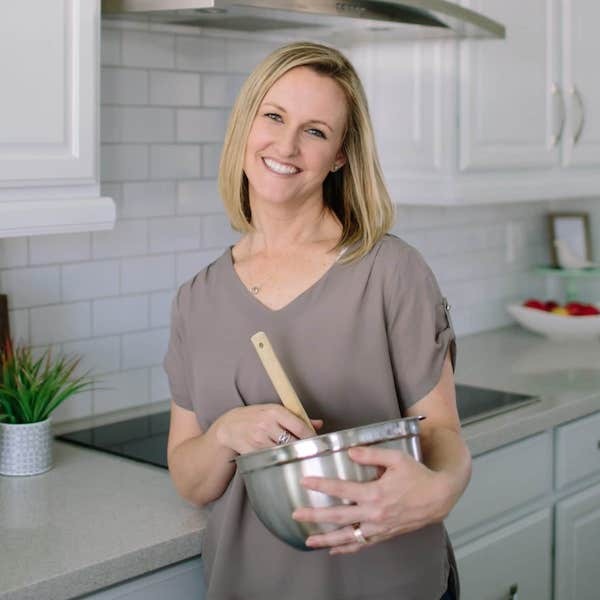 I’ve used these instant beans in several recipes, including bean dip and in burritos, and my picky eaters loved the taste and texture — just like what you would get in a restaurant or if you made them from scratch! I thought it would be fun to use the beans in one of our favorite recipes — Seven Layer Dip. 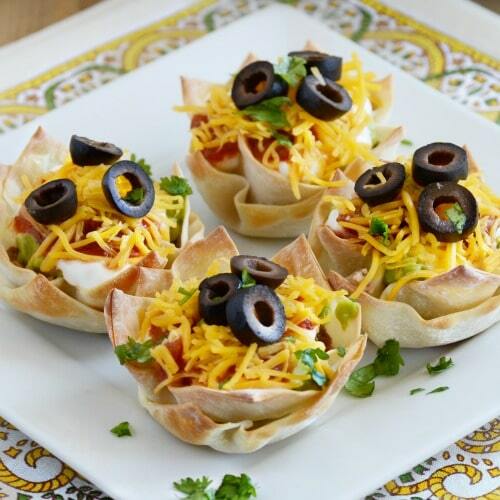 But instead of just making dip, I made Seven Layer Dip Wonton Cups. And they are amazing! 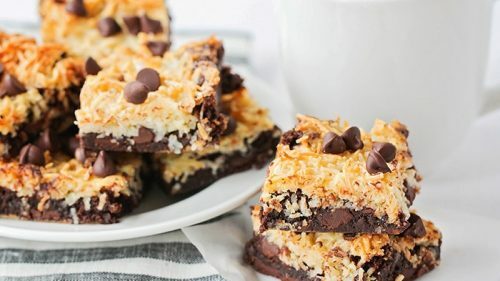 These are easy to make and not nearly as messy as the dip can be. 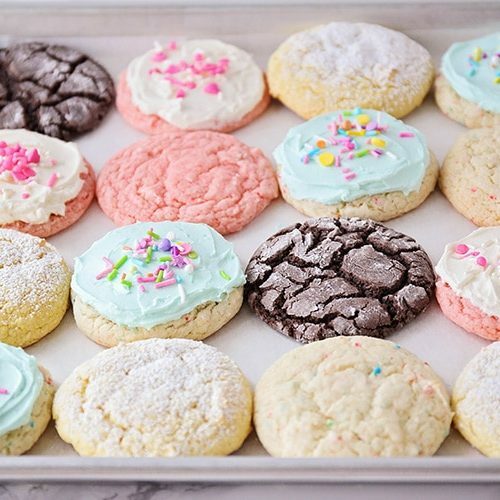 They are also perfect for parties since you can make them ahead of time and serve when you’re ready. Just layer the wonton wrappers in a muffin tin and bake for about 10 minutes, until they’re nice and crisp. When they’re cool, you can start making the dip. I made the beans first – boil water, added the dry beans, and in five minutes, they were done. 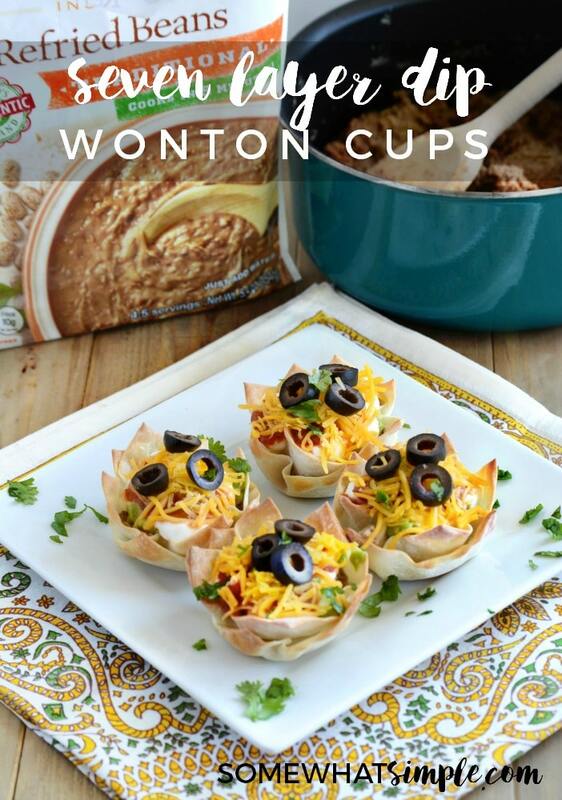 I let the beans cool off for a little bit, and then I began building the dip in the wonton cups. If you put all your ingredients out in containers, the process goes pretty fast. 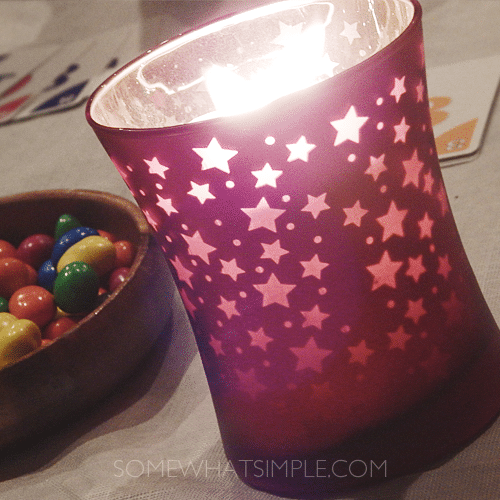 And like I said, it’s very easy — I even had the kids make some on their own. 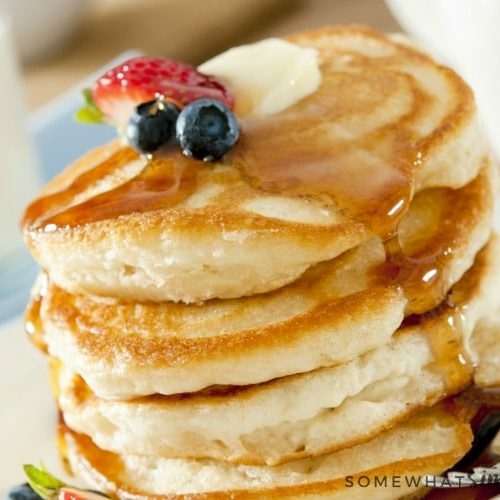 And in a few minutes, you’re ready to eat. Spray a muffin tin with non-stick spray, and layer two wonton wrappers in each cup. 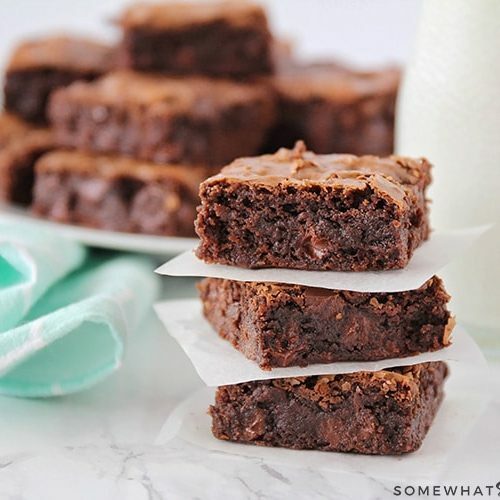 Bake at 400 degrees for about 10 minutes or until cups are golden brown. Allow to cool. Make beans according to package directions — boil 1 1/2 cups water in a medium-sized pot, add beans, cover, reduce heat and cook for 5 minutes. Remove cover from pot, and allow beans to cool slightly. 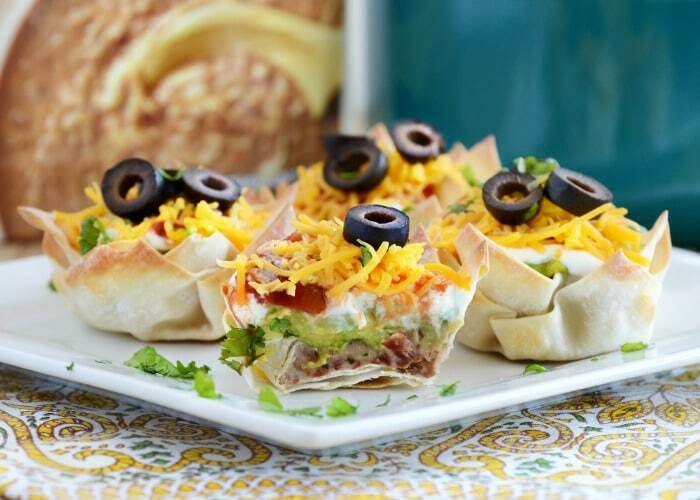 Add a thin layer of beans to wonton cups, then layer guacamole, sour cream, salsa, shredded cheese, olives, cilantro and tomatoes. 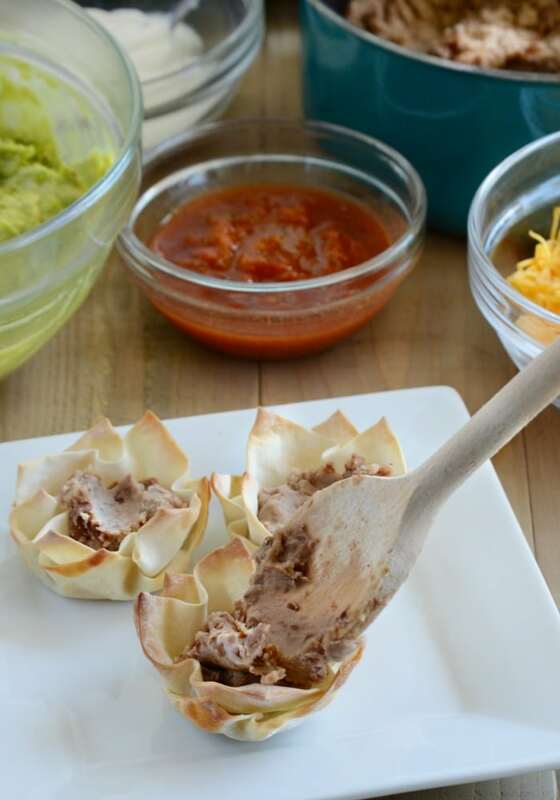 This recipe makes 12 wonton cups, but you can easily double or triple it for entertaining! 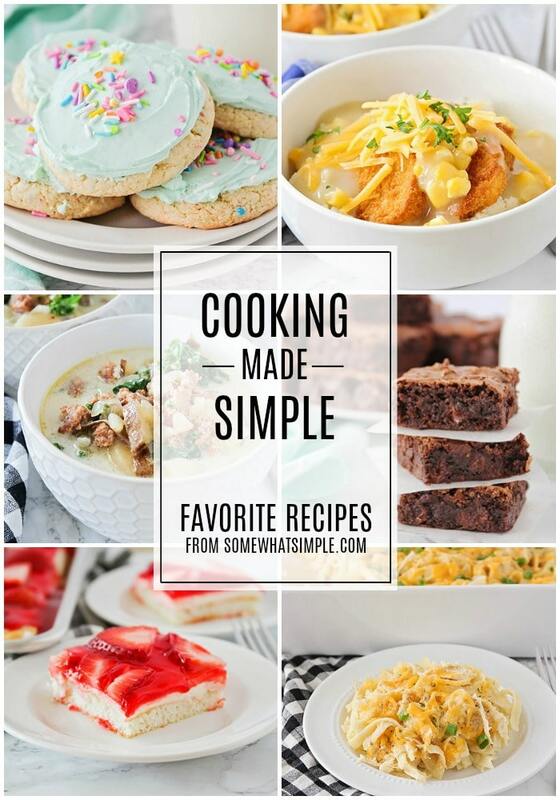 What recipe will you make? 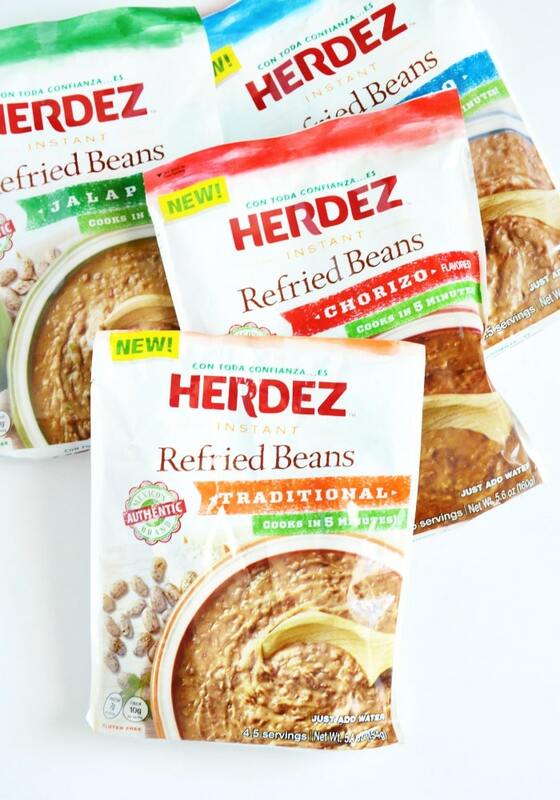 This is a sponsored post written by me on behalf of Herdez Refried Beans. All opinions are completely my own.